Shopping for a new Mercedes-Benz is exciting! Drivers across the Long Island area love getting to test drive the new model year Mercedes-Benz vehicles, exploring all of the new changes, and there is no better feeling than finding the perfect Mercedes-Benz you have been looking for. But once you have found that very car, van or SUV, it comes time to get down to business and start the financing process. Here at Mercedes-Benz of Huntington, we know that not many drivers look forward to auto financing and we completely understand why. Auto financing isn’t something Huntington drivers do every day and the paperwork can seem daunting. Thankfully we have an amazing team of financing experts who work with you every step of the way. We also have an array of easy to use financing tools that help save you time and make getting approved for credit easier. Like our payment calculator tool to estimate monthly payments. Or the Value Your Trade tool to find your current vehicles worth for trade value. And of course, our online financing application to allow our customers to apply for credit from the comfort of home on their own time. By using our online financing tools you will put yourself two steps ahead of the game and be closer to getting the keys and hitting the open road behind the wheel of a new Mercedes-Benz. Another service that the financing center here at Mercedes-Benz of Huntington offers to our customers is financial advising and end of lease options. Our financing team wants to make sure that our customers have all of the information they need and understand the benefits of leasing and buying a Mercedes-Benz to decide which financial route is best for them. 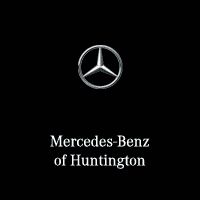 Give our team a call or stop by Mercedes-Benz of Huntington to meet with us. Every member of our team is committed to providing the highest level of customer service and care.